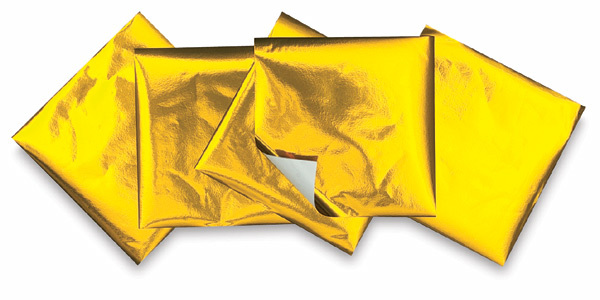 These fine metallic foil origami sheets measure 15 cm × 15 cm (5-7/8" × 5-7/8", the width of an A5 sheet). Each sheet has a smooth gold foil on one side. This package includes 36 sheets and a booklet on folding techniques.